It’s the moment I have been waiting for for a while now and I am so excited to share my gorgeous branding film with you! Back in November, my sweet friend Megan came up to North Carolina to film me working a styled wedding, hanging around my home and giving you a little peak into what life is like with me and my passion behind my business. There isn’t much more to say, so sit back, relax and enjoy the film! A little over 4 years ago the idea of pursuing what was a dream became a reality. I took a leap of faith to pursue my calling as a wedding photographer. What first inspired me to be a wedding photographer was photographing my grandmas wedding. The way people love each other through ups and downs, past relationships; love remains the same. Through out the last four years being a small business owner definitely has had its valleys but what keeps me going is the love & joy, intentional relationships, unbelievable adventures & all the wonderful couples I get to serve and photograph. From the first email to the delivery of their galleries my main purpose is to serve my clients. I want them know I am here for them. I am there to encourage them. I am there to make sure they know they are loved & valued. One of my favorite moments during a wedding days the moment when the officiant announces the couple as husband and wife! To see the groom look at his bride with complete joy, to see their friends and family cheering, there is just so much life during that moment. When a couple asks me how I feel about first looks, I say YES! 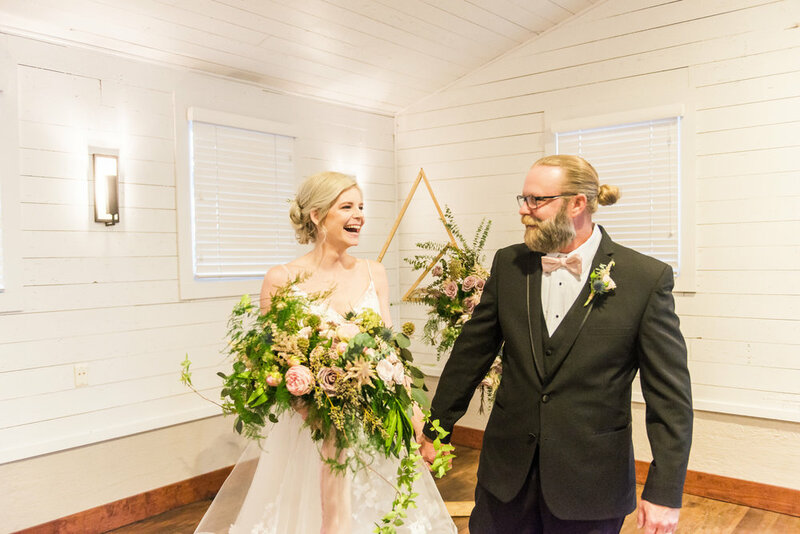 By doing a first look we are able to do all the bridal party photos, husband and wife photos before the ceremony that way there is a sense of relief of less pressure to get to the reception. You are able to enjoy the process and the moments of excitement leading up to the ceremony. There is a song by Jenn Johnson called Chasing You and I live for the lyrics. Gods given me this calling and He continues to lead me. Before the wedding, I spend time praying for my couples; I want their hearts to be so in love that they run towards God together. This song is a wonderful resemblance to marriage; a constant pursuit and as a wedding photographer I am constantly finding ways to serve and pursue the couples I work with. We had so much fun filming this entire video! 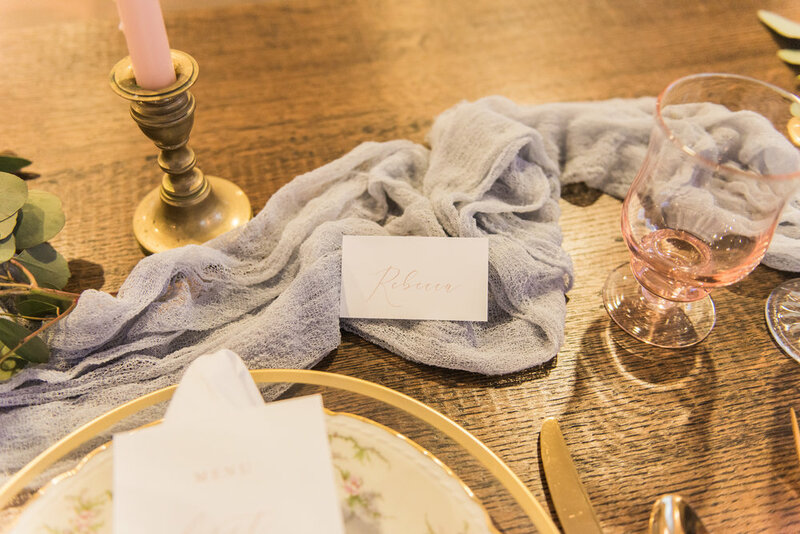 From the styled wedding at Winmock (definitely want to see & read more about that!) , to slow mornings at home editing and spending time with my sweet pup and then adventures downtown on the parking deck; all around an amazing experience. 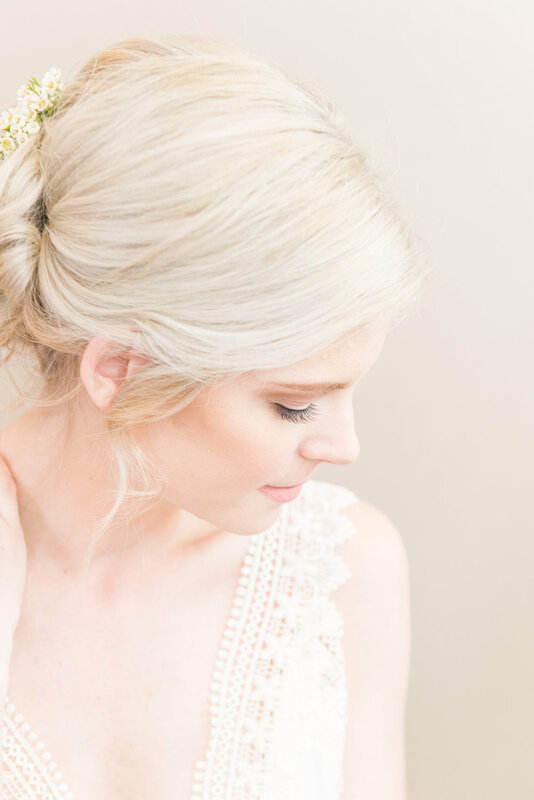 … a little bit of romantic vibes with a boho twist. A beautiful love story told through blush pinks, an intimate ceremony, and lots of love & laughter. 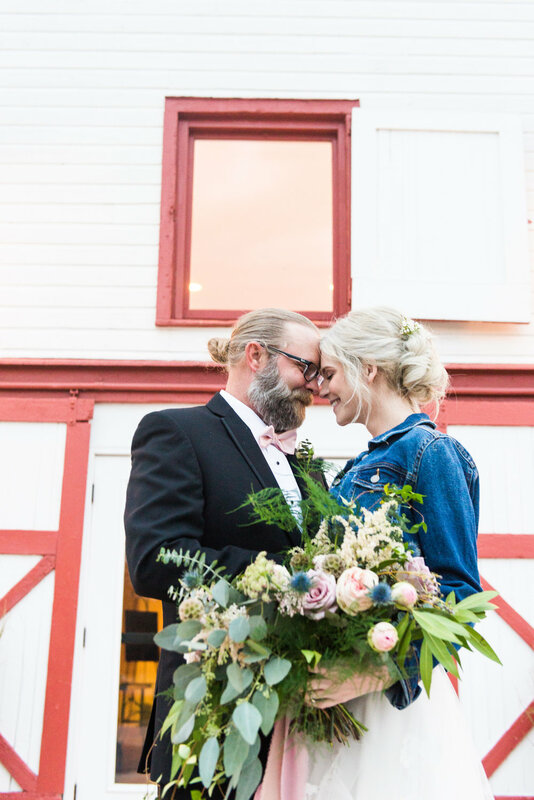 For this styled wedding, I wanted to have it take place at a beautiful venue called WinMock at Kinderton. I had been to WinMock one other time to second shoot a wedding but I was so excited to shoot another wedding on my own in such a unique space. Not only was I photographing this styled wedding but my dear friend, Megan was doing video! Stay tuned to see the video in another blog share in the beginning of 2019! I decided to showcase a small ceremony amongst minimal friends & family. We used a room called Forsyth and it was absolutely perfect! The vibe was clean and simple; white shiplap walls and hardwood flooring. Because the space was simple, I wanted to create a unique arbor for Rebecca & Ryan to stand in front of while reciting their vows. With help from my handy dandy Dad, I was able to create a triangle arbor! It was the best decision ever! Then Jenny with Jenny’s Projects added gorgeous florals and greenery to the triangle to add dimension, texture, and all the pretty! Check out the stunning bouquet she created as well! She’s absolutely amazing! Where do I start with Rebecca & Ryan? I had met Rebecca a few other times through a local wedding creative group and I have followed her on Instagram (check out her blog too!) and loved everything she shared so I couldn’t wait to work with her! Rebecca is a event planner at WinMock so she was so helpful with figuring at the details for the day of the shoot. Ryan is her husband and he was a trooper on the day of the shoot. I loved working with the two of them; they had amazing chemistry, beautiful features and indescribable laughter! What makes a styled wedding fabulous is the amazing creatives you choose to collaborate with and I can’t thank these gals enough. The day started with all things beauty! Madison, owner of Bloom by Madison came and created a gorgeous updo that fit Rebecca so well. And then Katelynn who owns Enhancing You did Rebeccas makeup; a romantic and timeless look. Before we arrived on site, I went to pick up the wedding dress from Dashing Dames Bridal Boutique in High Point!! For this wedding, I was looking for a fairytale, romantic, floral dress with lots of skirt to twirl and create with! Stacey, owner of the boutique, was very helpful and she allowed Rebecca to try on multiple dresses until we found the right one! I even changed my mind and called Stacey the next day to change it; she was so accepting and understanding. Isn’t this dress just amazing? For Ryan’s tuxedo, bowtie, and shoes we collaborated with Bruce’s Tuxedo in Lexington. They were so helpful and provided the best! The process was simple, Ryan & Rebecca went in a few weeks before to try on tuxedo’s and then picked it up the day before the wedding! Back to the styled wedding! After Rebecca’s hair & make-up was complete, we got her into the dress! We had her look at it as if it were her wedding dress and admire it’s beauty. Once Rebecca was ready, we made our way up to the Lofts for Ryan & Rebecca’s first look. The first look was so sweet especially since they were reminiscing on their wedding day almost six years ago! I am a BIG fan of first looks! They allow bride & groom to get some nerves out but also have a minute together; just the tow of them. Let’s be honest, once you’re married, the rest of the evening you’re celebrating with friends and family and yes it is so fun but having a moment just the two of you makes it amazing. Trust me, you can still have those photo moments during the ceremony when you’re walking down the isle! By doing the first look in the Loft, we were able to show the space in a different way than most first looks at WinMock! After the first look, we made our way to the ceremony space for a few images of Rebecca walking down the isle to meet her groom, Ryan. They are some of the sweetest. You can see their love through these images so well. The triangle arbor was a beauitful touch to the ceremony. It didn’t rule the show but added a lovely pop of uniqueness! Part of the styled wedding included a Sweetheart Table! Andrea with Lupin Design Studio created the most beautiful menu and place cards (as well as the invitation suite!)! She created a romantic, timeless suite. Caroline with The Prettiest Pieces provided us with beautiful table settings. From the light pink glasses, to the gold rimmed chargers, everything fit so perfectly. She also had a settee there for us to do some photos on as well, check it out below! I present you Mr. & Mrs. Ryan Kearns, y’all. Ha! They are celebrating their anniversary this December! They’re so so great. These husband & wife photographs are some of my favorites. So, enjoy! P.S. WinMock has so many areas and different backdrops for photographs, from the weeping willows to the silos, so many options! Talk about a gorgeous wedding cake!!! Sabrina from Cake and All Things Yummy created the perfect cake. A two tiered naked cake with gold foil dusting the side! It was absolutely stunning and tasted delicious! I love all things Fall. But WinMock really made my heart happy when I saw all the beautiful colors and Fall backdrops. To finish up the wedding, we grabbed Rebecca’s custom blue jean jacket and headed out front for a few more photographs! Rebecca won her jacket from a give-a-way with Sarah who owns Sarah Jo Designs! She hand painted “Darling” on her jacket! It was a perfect added wardrobe change! Thanks so much for reading about this Styled Wedding! It was an amazing day filled with the BEST creatives, that I know can call friends. If you’re interested in working together, you know I’d love that! Feel free to reach out and we can see what we can do!